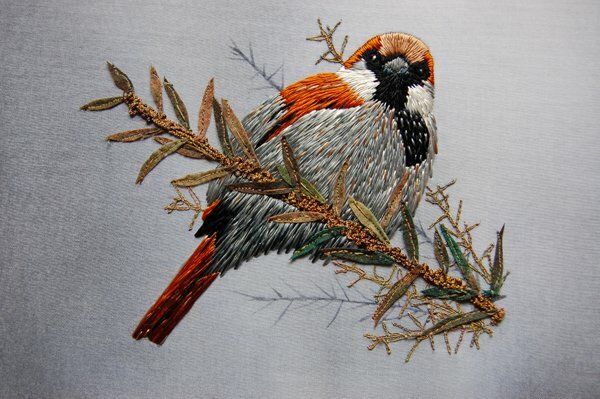 Ruth has been embroidering since she was a child, starting with kits and slowly making the work she produces today. Ruth has completed one year of a City and Guilds Embroidery course but felt it was stifling the work she wanted to produce. She then moved to Southern Ireland to pursue a career as an embroiderer for four years before moving to Swansea in South Wales. 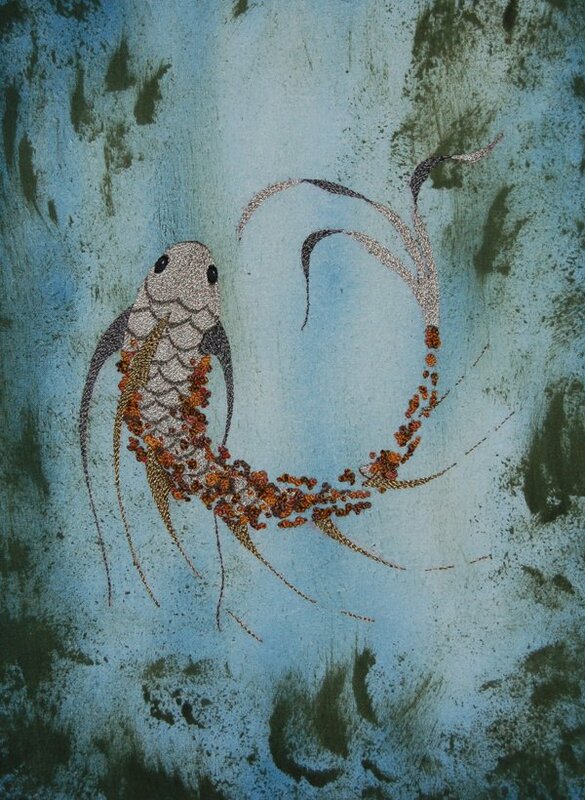 She has been a professional embroiderer for about 10 years now and lives with her husband James and her two dogs and five cats. 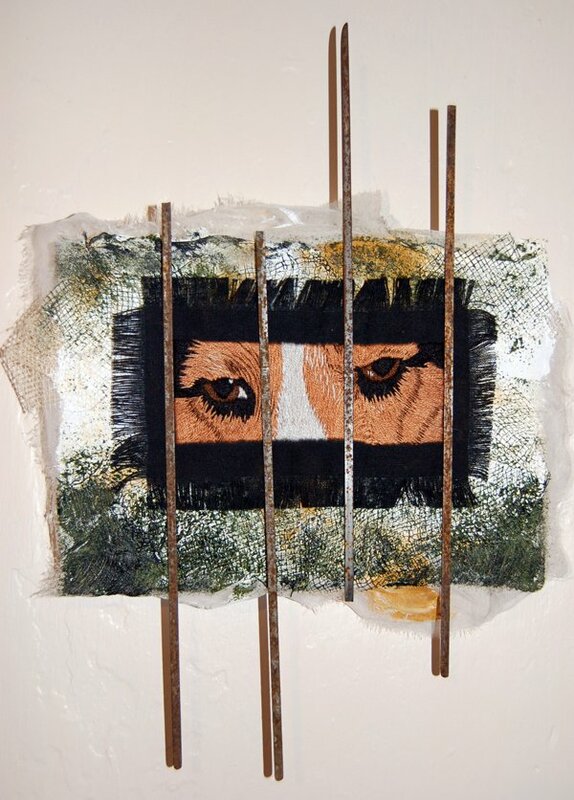 Ruth is very interested in environmental issues and does not use animal based fibres in her work. She is an active member of the Swansea Animal Rights Group. Hand embroidered in Natesh and mixed textiles. Background is watercolours. Approximately 12x12” Framed.